The actual origin and worldwide dissipation of the humble playing card is lost in the mists of time. And the number of games it is possible to devise from a simple bundle of painted cards is quite astonishing. Books upon books have been written on the subject. 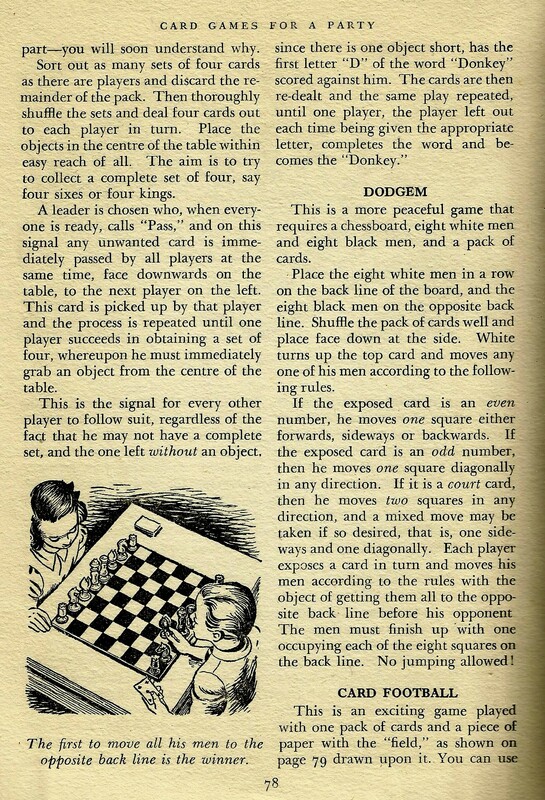 It is amazing to think that in our present day world of electronic games, computers and numberless other modern media games, chess, mah-jong and patience all remain permanent fixtures. Even featuring on a lot of those same new media! 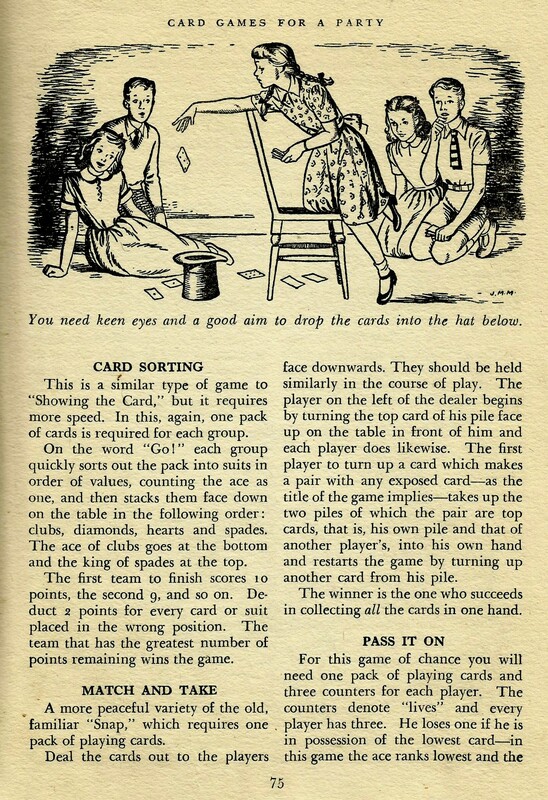 Theories and fables concerning the origin and worldwide dissipation of the deck of cards abound throughout the world. Many countries lay claim to ancient folkloric stories that prove beyond doubt that card-games began within their borders. Some tales tell of itinerant Gypsies, originating from Greece or India, spreading the word as they traveled the world. There are some vague allusions, though no conclusive evidence, of card-games having been known in Rome, and therefore the Roman Empire. 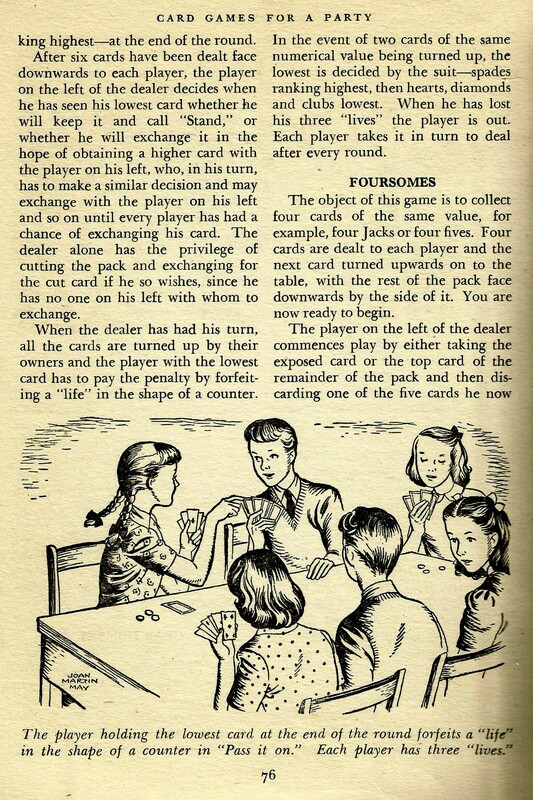 Games can be of skill or of chance, fortunes have been won or lost on the turn of a card. 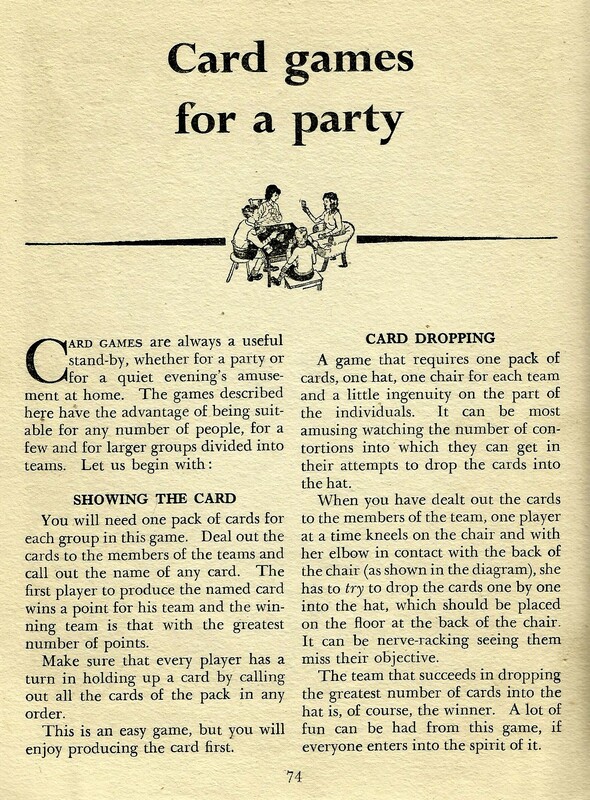 But there are also games like those illustrated here from the ‘Odhams book of Childrens Hobbies and Pastimes’, intended purely for the fun of the game. 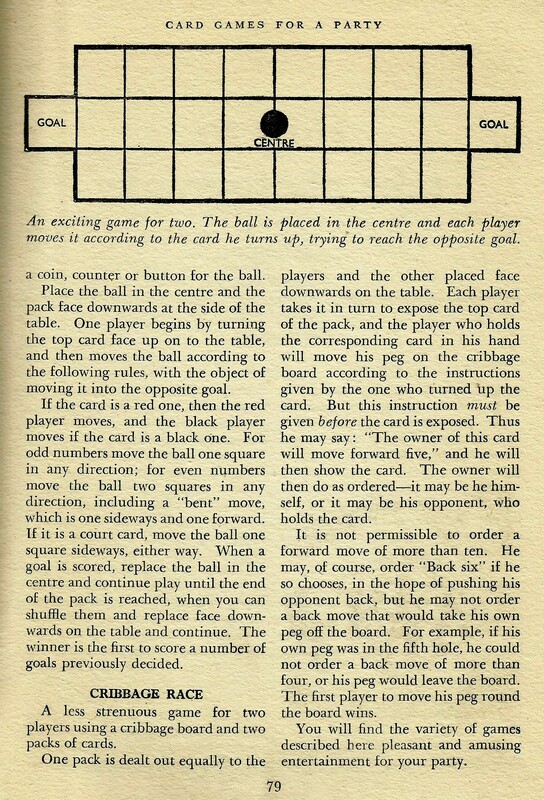 Toward the end of this article there can be found one game involving a chess board and men and another for a game of football, both using playing cards. I post them here in their innocent entirety, the product of many a magical childhood. 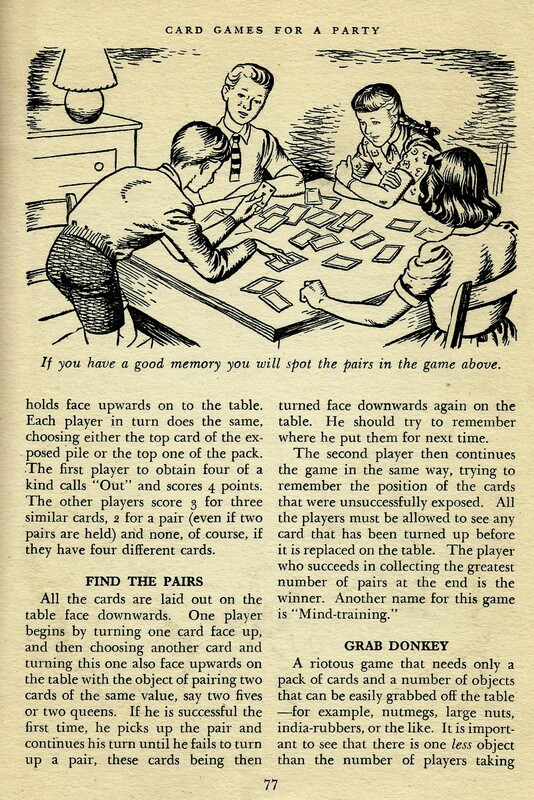 This entry was posted in Childrens Pastimes and tagged chess, children, football, games, party games. Bookmark the permalink. A wonderful and fun post! Thank you for your comment. I’m glad you enjoyed it.